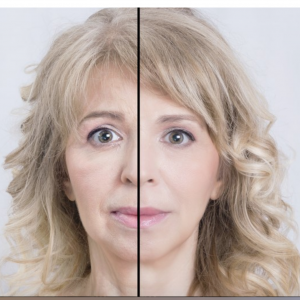 The Newest agebuzz Post On Lustre: Should Your Looks Define Successful Aging? In case you’re not aware, Lustre is a wonderful new platform for modern women creating a modern retirement experience. Sign up to receive the latest news from Lustre here. And what follows is the latest post written by agebuzz founder and editor Connie Zuckerman for Lustre. But I must say, as an older woman now working on this “encore career,” the signals I get from the information I read are mixed at best—and even self-deflating were I to take some of these messages to heart. I read that to stay healthy, engaged and mentally intact, and to enjoy this stage of life, I need to stay positive, find meaning in my life, and use my hard-won resilience (not to mention exercise and watch my diet). And I try to do that—starting a new business, spending time with new grandchildren, pursuing new cultural pleasures. These all give my life a richness and joy that I feel privileged to possess. The news stories out there, the advice handed out to older women, the expert opinions we are asked to stay on top of—-it’s a lot to keep track of and not all of it can or should be taken at face value. Is it “fake news”? Well, that is a part of today’s media environment. But perhaps more important for older women are the false flags of how women can be “successful” as they grow older. Sure, we all want to look and feel our best. And you should be able to have fun and be frivolous no matter your age. But is that the measure of how we want to define “success” in our later years? That’s one news story I choose not to believe.